Hello everyone, today we’re taking a look at the 10 most recommended mechanical watches for men. 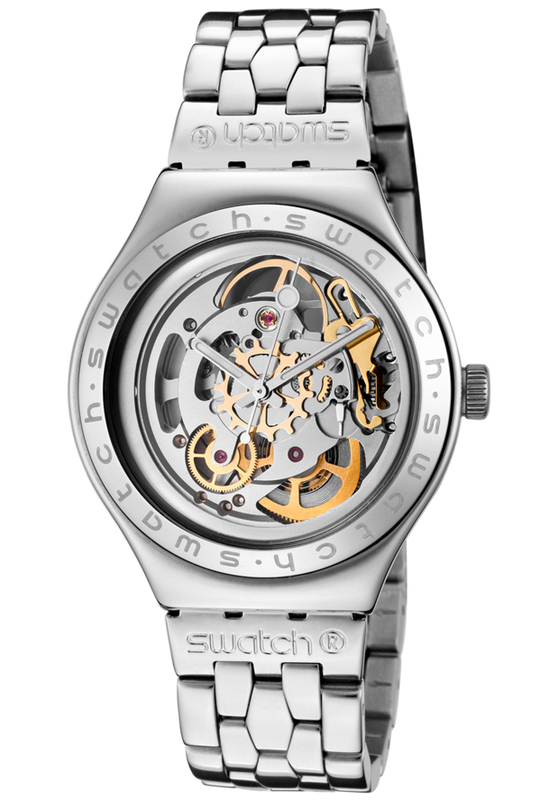 All of these have a focus on the skeleton watch style which exposes parts of the mechanism for the wearer to see. It’s a design I love as I like being able to see all the different work components working together to create such great timepieces. There’s also focus on affordability with all the automatic watches mentioned being available for under £200 (at the time of writing). We wanted to avoid showcasing watches that are well out of peoples reach. Hopefully this budget achieves that. 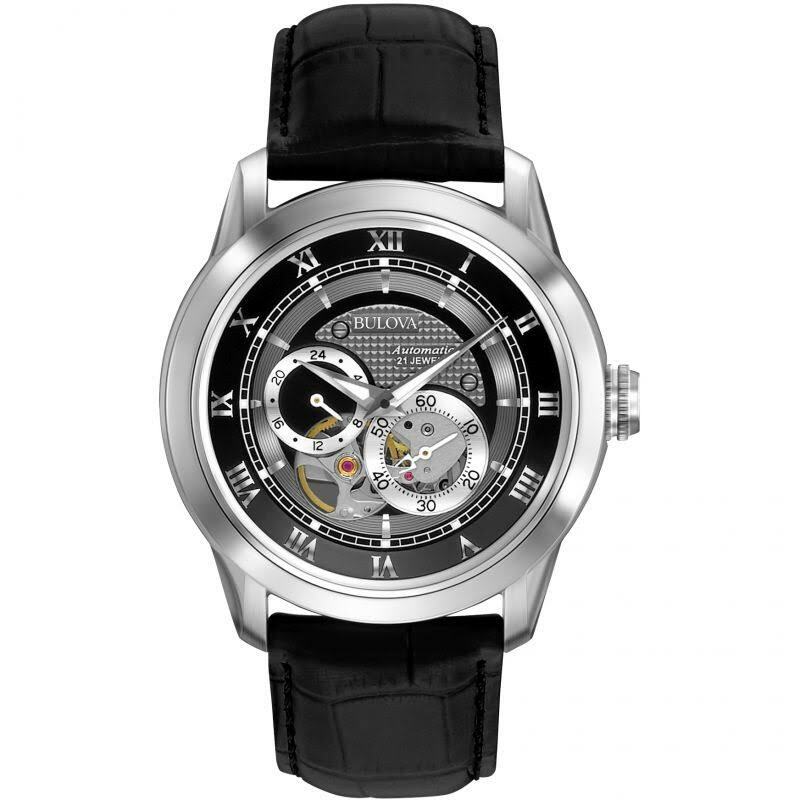 In the list today we have mechanical watches from many top brands like Rotary, Bulova, Stuhrling, Invicta and more. 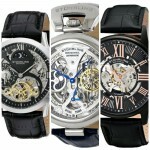 If you love automatic watches with the skeleton style I’m sure you’ll find something you’ll want in this list today. 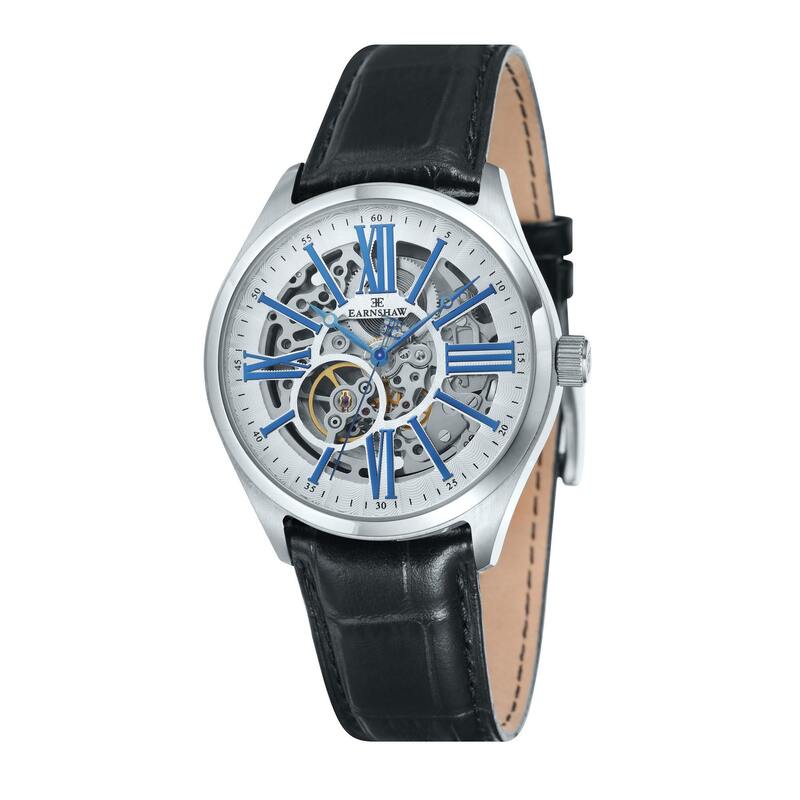 This is a very popular mechanical watch from Rotary featuring an automatic movement. 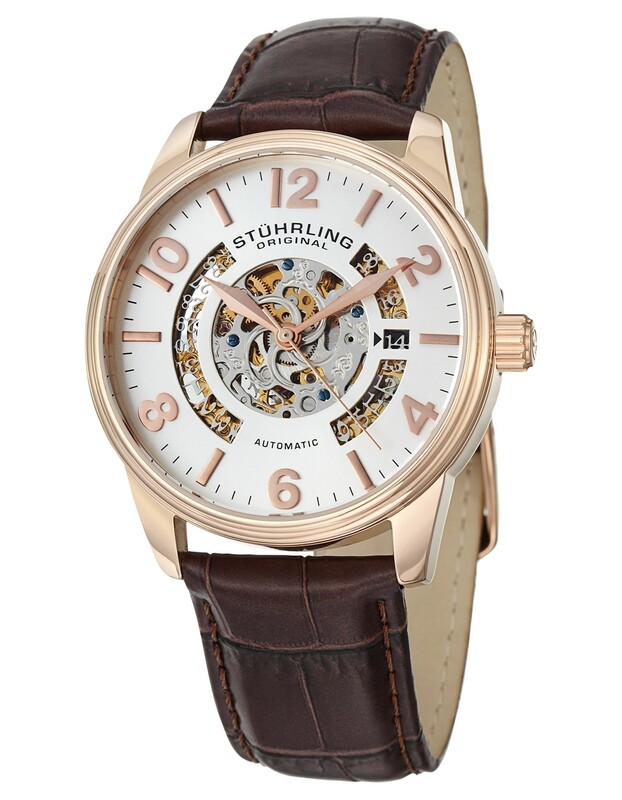 Stuhrling are well known for their selection of mechanical watches, it’s well worth checking out more of their designs if this is something you like. 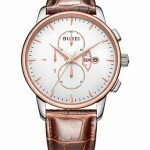 Bulova happen to be one of my favourite watch brands. This is a great mechanical dress watch, I love that how they have subtly exposed just a piece of the watch movement. 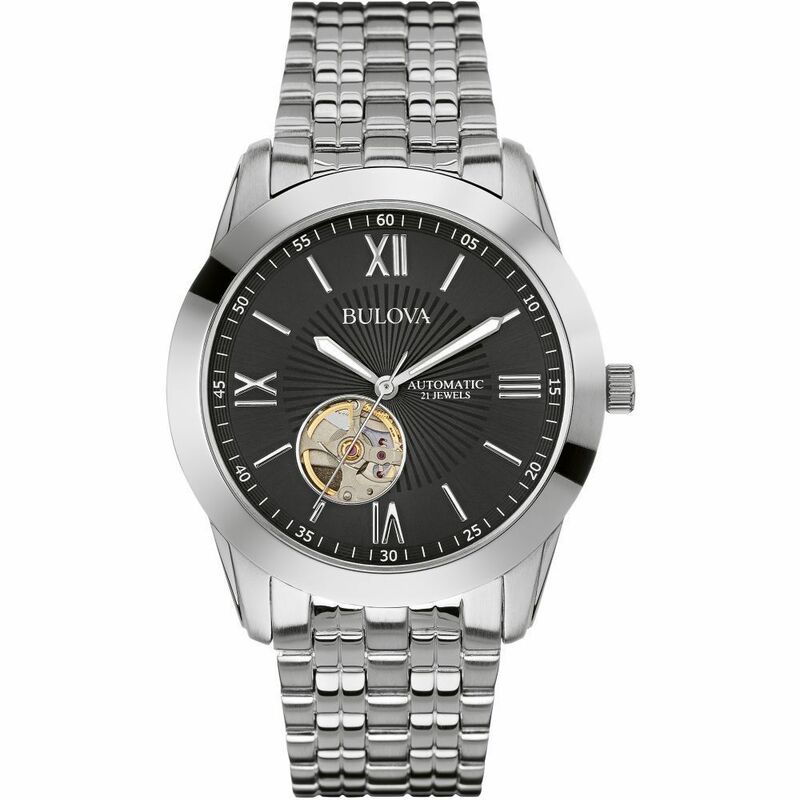 Another stunning mechanical watch by Bulova. This one has lots of nice detailing like the exposed mechanism and the textured effect on the dial. This one if pretty close to the top of our budget, but I love it. 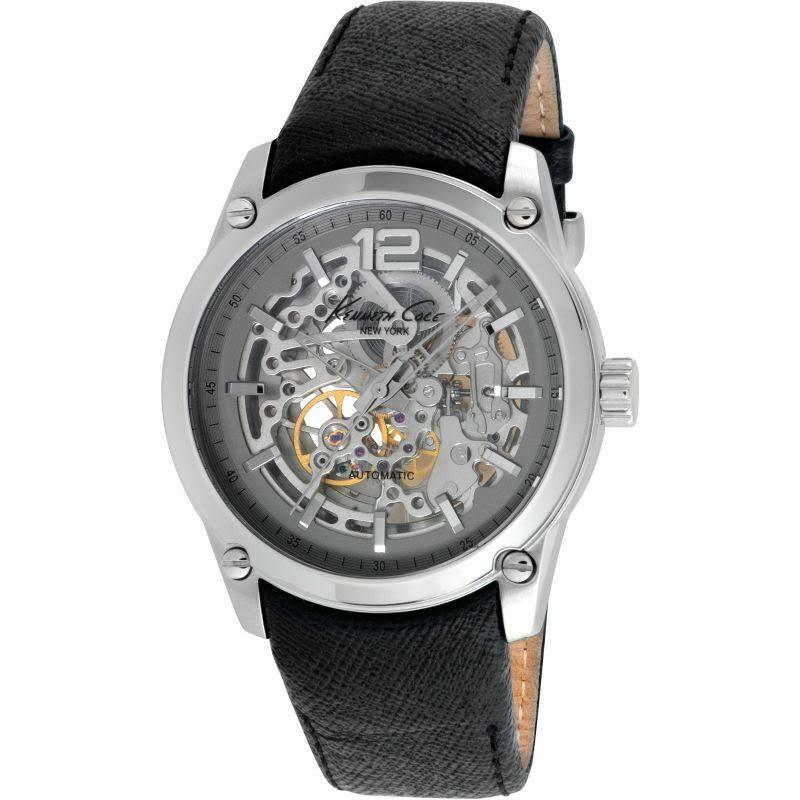 Here we have a mechanical watch by Kenneth Cole, they make a ton of watches with a focus on this exposes movement style. I’ve got a Kenneth Cole watch in my person and have always been very happy with it. 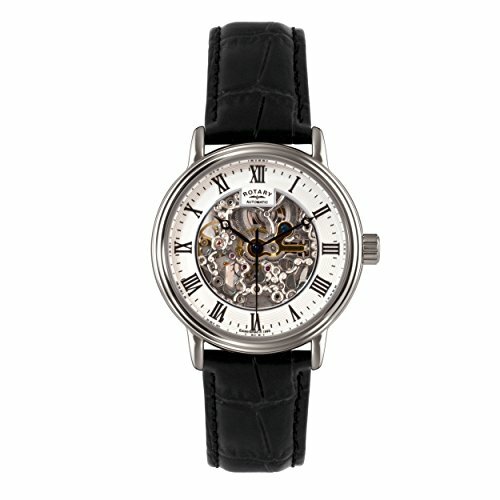 This Thomas Earnshaw watch features a rather nice self-winding 21 jewelled skeleton automatic movement. I’m sure you’ll agree that the design of the dial is very impressive, a large amount of the mechanism is exposed which is what a lot of people are after. Why not check out more of the best Thomas Earnshaw Watches. 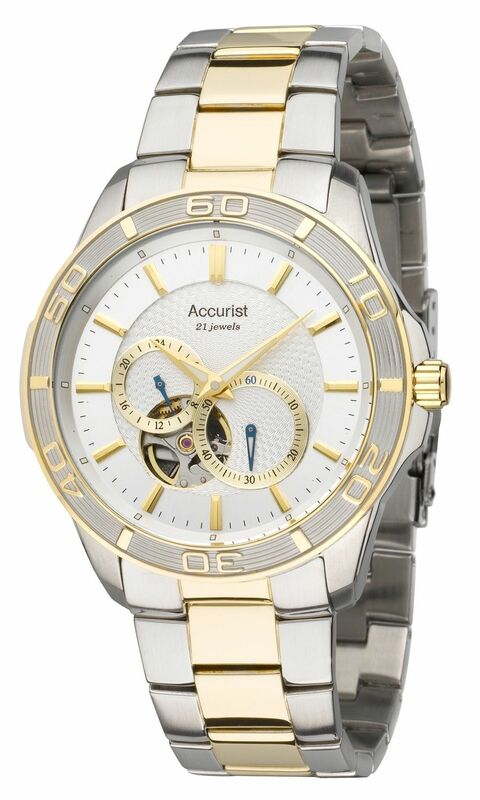 This watch by Accurist has a really luxurious design, I love the two tone style that they’ve managed to pull off here. It’s the small details like the stunning textured dial that make this watch so impressive. 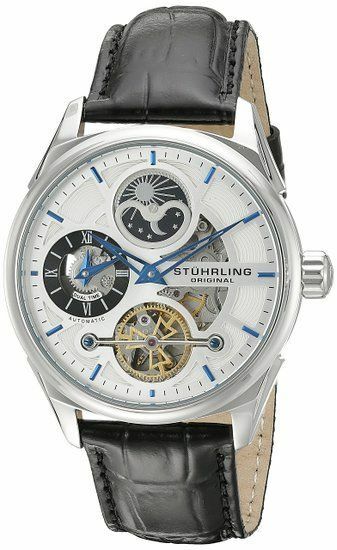 When it comes to impressive watch design, Stuhrling have done a great job with this mechanical automatic. All the blue detailing is very popular in the watch market at the moment, and is something that I personally really like. 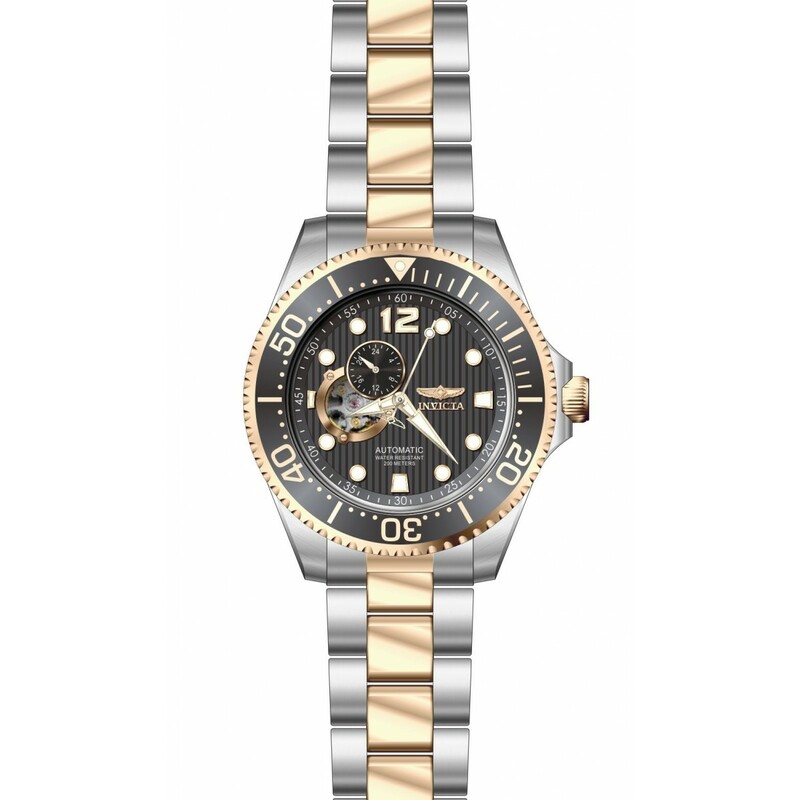 This watch is part of Invicta’s Pro Diver collection with a water pressure resistance rating of 20 bar. This model has a similar keyhole exposed mechanism showing a snippet of the watch’s inner workings. This is quite the show piece by Swatch, if you’re after a watch that’s sure to get people talking then this is one you really have to consider. The whole design blends together very well and uses a great mix of gold and silver within the mechanism itself to create this beautiful timepiece. 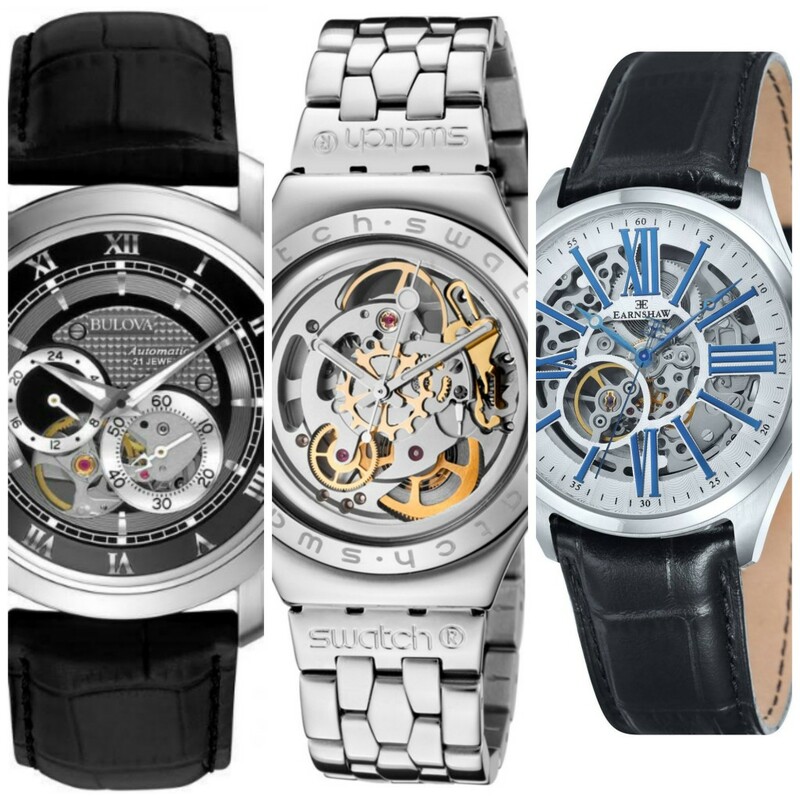 What did you think of our top 10 mechanical watches for men? So what was your favourite mechanical watch from our list today? Personally for me it’s the Thomas Earnshaw in at number 6, I just love the blue detailing they’ve gone with. Comment below and let me know what your top watch would have been. Hope you enjoyed this Top 10 mechanical watches under £200 post, stick around and read more of our most recommended articles below. 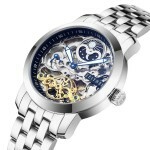 8 Top Men’s Skeleton Watches For Men. Best Selling Most Popular. Didn’t think Swatch made such nice watches, going to check these out now.